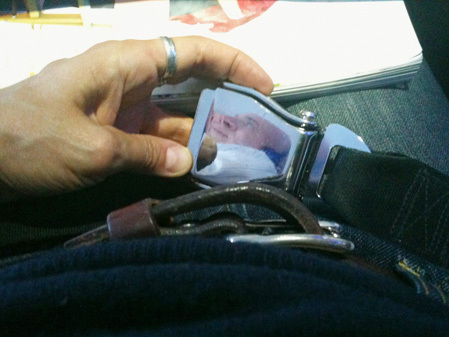 Seat Assignment consists of photographs, video, and sound works, all made in flight using only a camera phone and improvising with materials close at hand. The project began spontaneously on a flight in March 2010; the material generated on the nearly 200 flights since then constitute the raw material of the project. Seat Assignment is born from an investment in thinking on your feet, from optimism about the artistic potential that lurks within the mundane, and from curiosity about the productive tension between freedom and constraint. As Seat Assignment progresses, thematic categories have emerged. You can browse a small selection of them here. For a more comprehensive overview, please watch the "Flight Log," viewable here: www.youtube.com/watch?v=4xls3E48SEs. Seat Assignment was exhibited for the first time in February 2011 at the Dunedin Public Art Gallery, a museum in the city of Dunedin on South Island in New Zealand. Since I had 22 hours of flight time from New York to get to the Dunedin I proposed to make the bulk of the work for the exhibition on the way there. In the exhibition, two of the three galleries focused on work made entirely en route. A third room contained works that functioned as a retrospective look on the first year of the project. Catalog essay co-written by Nina Katchadourian and Aaron Kriesler, chief curator at the Dunedin Public Art Gallery, about the concepts and methodology behind the project.